You worry that help may not reach you for 72 hours (or more) following a catastrophe. 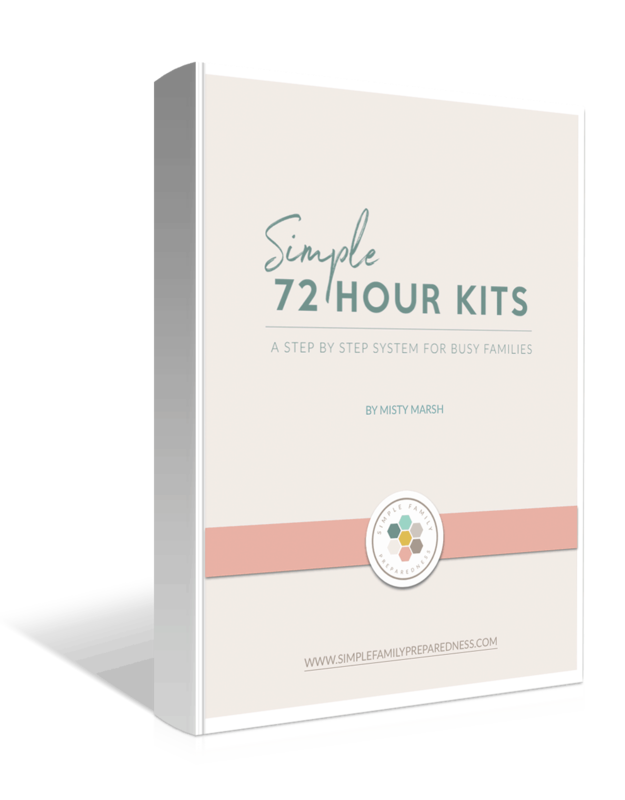 You feel helpless because you don’t know how to start putting together a 72 kit for your family. Work. Laundry. Meals. Soccer. Homework. Toilets. Repeat. 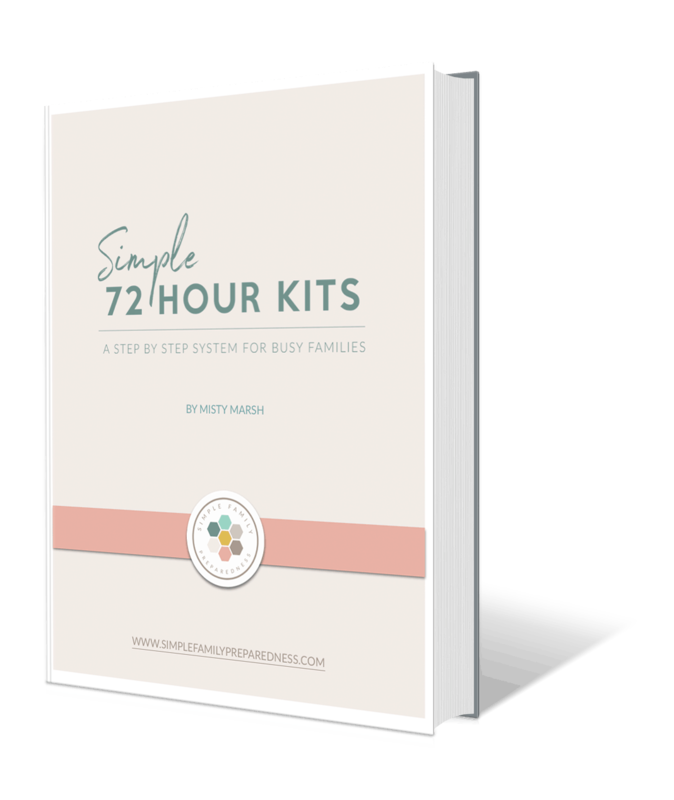 TO BUILD A 72 HR KIT QUICKLY & EFFICIENTLY. IT CAN’T DISRUPT YOUR ALREADY BUSY LIFE. HOW DO I KNOW WHAT TO PUT IN MY KIT? 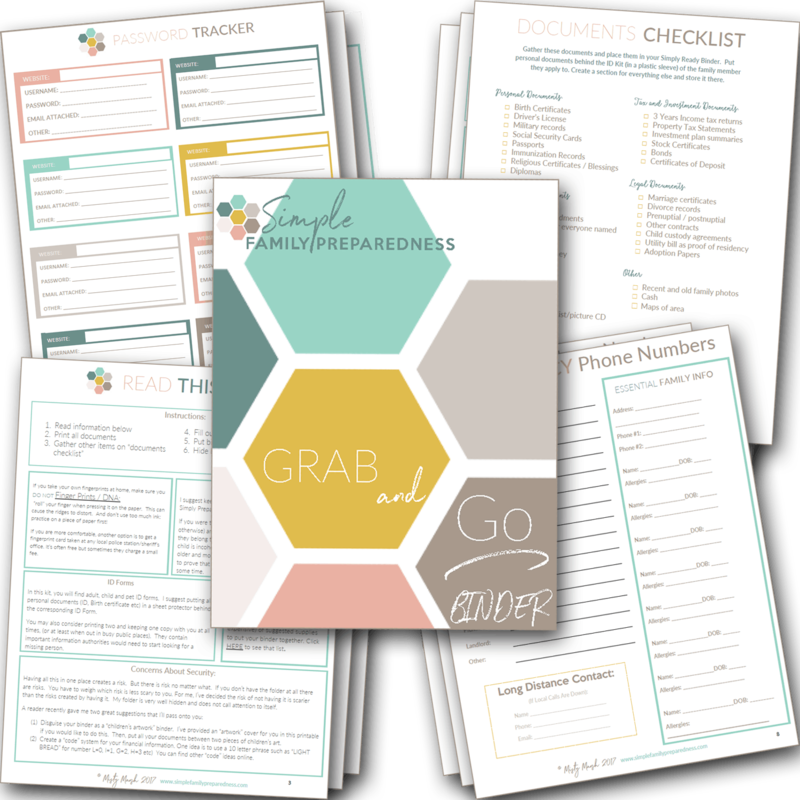 It’s a step by step system created for busy families who want to avoid last minute decisions in a disaster. Receive a hard copy (paperback) version of the book in 1-3 weeks. Paperback version is NOT currently available outside of the continental US. If you want faster shipping on your paperback book (or want to read more reviews), you can also find it on Amazon HERE. Fairly compare choices for each step and make focused, informed decisions of what will work best for your family. 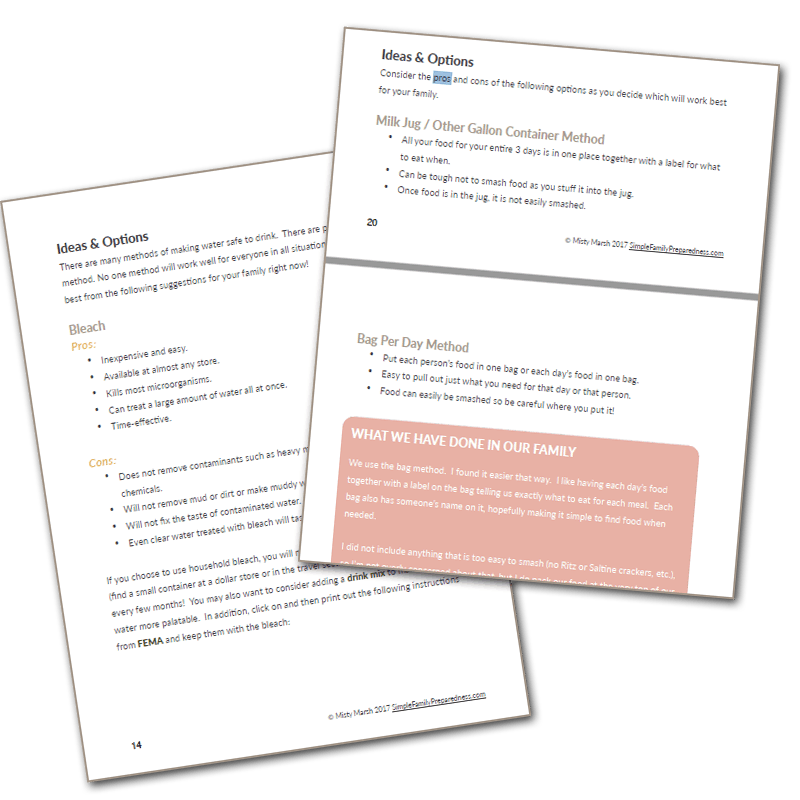 Find low, medium and high budget options for many of the 26 steps. You have full control over what goes in your kit and where you spend your money. 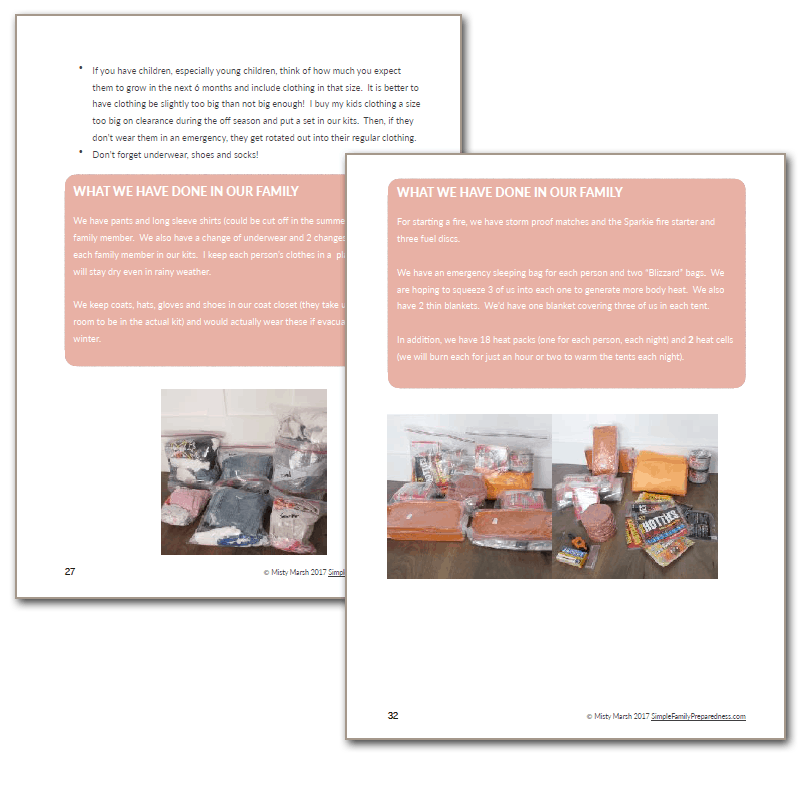 Find pictures of my kit – one built for a busy family with kids – and quickly get ideas for how to pack your own kit – without a bunch of trial and error. 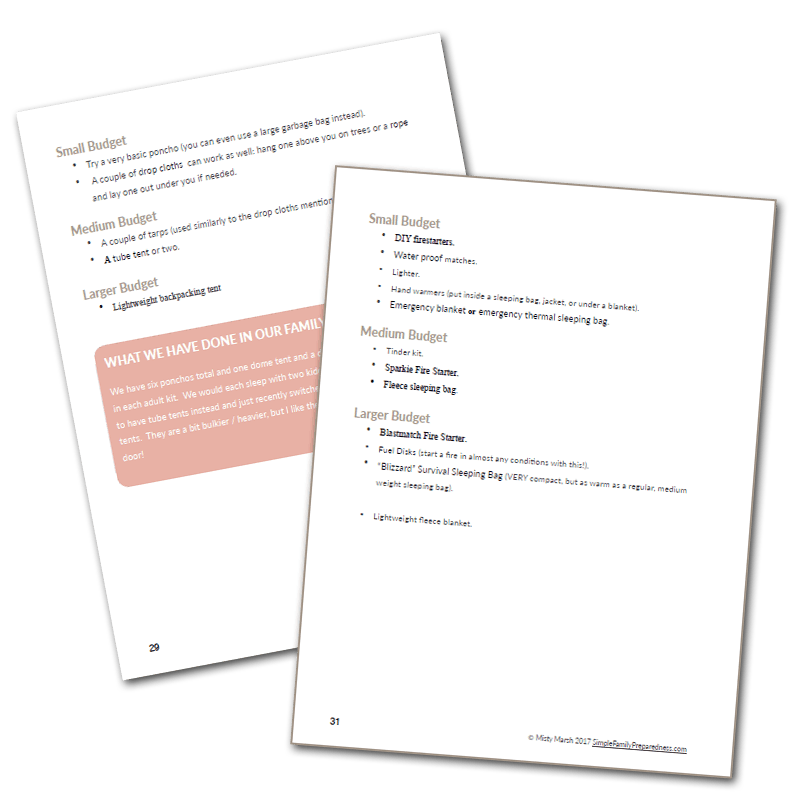 You will get a separate file with 18 printable pages for a grab and go binder. 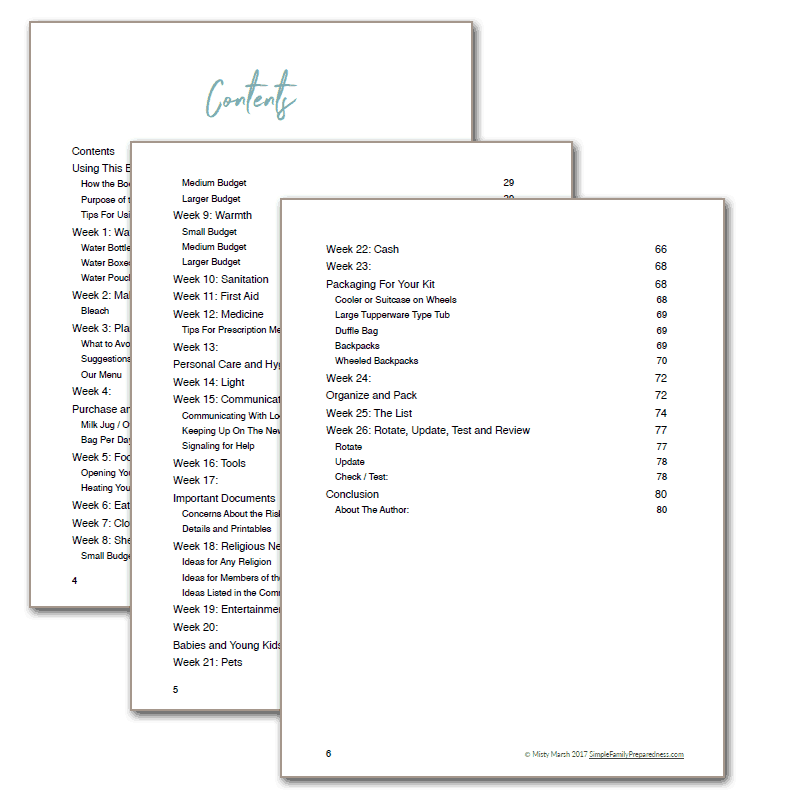 Note – These are provided through a link in chapter 18 of the book.